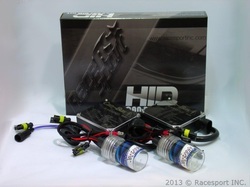 Hid Conversions are not DOT approved and designed for off road use only ! Easily the best hid conversion kit on the market. 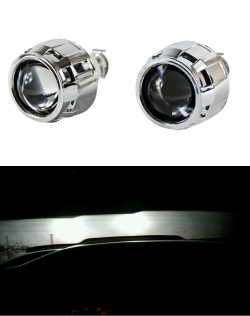 The 'Moto bulbs feature: Ceramic bases for precise alignment giving you a clean beam pattern. Quartz glass tubes to minimize UV output and maximizing luminosity. Their Praxair (US) metal halide salts produce very accurate color temperatures. Available in 5K and 6K. The 'Moto ballasts feature: Compact, clutter-free design with integrated igniters. Completely weatherproof body & potted internals. Braided tech-flex insulated high voltage line enhances durability and looks, the interior lining prevents EMI interference. Laser etched graphics, aluminum fittings & mounting hardware. "SS" (SpeedStart technology) greatly enhances bulb warm-up speed without artificially high start amperage. (1) Morimoto HD Relay and mounting kit. Tired of HID kits that don't last long in the field? HID kits that don't interface well with many newer or high end vehicles? Race Sport CANBUS Technology is your answer. Race Sport CANBUS HID kits contain canbus circuitry that other HID kit do not have that allow them to interface with any vehicle that runs a canbus electrical system, but also every other vehicle out there. In addition, the components chosen for these ballasts are high end, and last many years. You can install in your vehicle with confidence that you are installing a quality HID lighting system that will last for years to come. For the ultimate light output Morimoto projector lenses are must have. We offer full retrofit services for your old headlights to make your night driving brighter and safer. 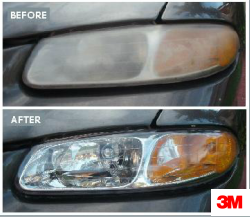 Take advantage of our headlight restoration service. In the past, replacing scratched, clouded or yellowed plastic headlight covers was an expensive necessity in order to preserve safety. 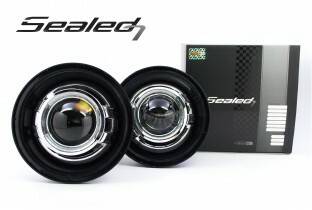 But now with 3M Headlight Lens Restoration solutions, car and motorcycle owners can shine and restore plastic lenses to like-new condition for a fraction of the cost. 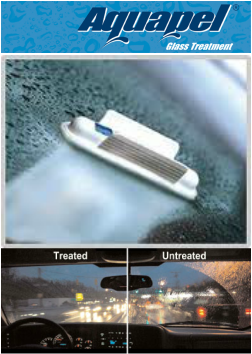 Plastic surfaces are great for giving vehicles lightweight, durable components . But these plastic components can yellow and haze with weather, sun and sand, limiting visibility and diminishing the appearance and value of the vehicle. Dim headlight bulbs and hazy plastic headlight lenses or surfaces may lead to this reduced visibility, putting you, your passengers and other cars at risk. The problem increases with the age of the lens, and with the average age of cars on the road over 10 years old, the problem is growing. Great new product from morimoto ! direct fit for majority of Japanese, American and Korean makes and models. The XB Fogs use three 3W Philips Luxeon-T 5000K LED's to produce around 1200 raw lumens per side for a total of 2400 on the ground. The projector based optics inside concentrate that light into a perfectly distributed beam that's not only super wide, but properly shaped for use as a dedicated fog light. They have integrated aiming adjustments on the back-side to adjust their angle up or down after being mounted, just like stock.